We come to the end of the PECOTA series for position players. Right field is likely the deepest position on the diamond in terms of fantasy production. That can be seen through the median numbers, but also through the number of players that come close to the median. For instance, Carlos Beltran was a zero category guy in the last piece and yet was projected to hit around 20 home runs. This obviously should affect your draft or auction strategy. We are comparing the top 24 right fielders to the median numbers at each of the five primary categories. The median is defined as the average between the 12th and 13th ranked player in that particular category. Players that meet or exceed the median will have their numbers labeled in green font. Players that do not meet the median will have their numbers labeled in red font. As always, we will also include their three year averages when appropriate as a frame of reference. Anyone paying attention will notice the discrepancy between the PECOTA and three year numbers. He has put up .389, .339, and .378 BABIP numbers of the last three seasons. A career .343 mark is likely unsustainable, so they are betting on the standard correction. Still, he is four category even without all that batted ball luck. It might be the difference between being an OF2 and an OF3. Whenever a player like McCutchen has a down season you have to ask yourself some hard questions. Was his drop based on bad batted ball luck or fluke injuries or is he in serious decline? 2017 will be his age 30 season, so you normally wouldn’t expect decline. His BABIP was over 30 points below his career average, but a .297 BABIP is not outrageously low. The strikeout rate went up and walk rate went down. All told, there are more signs of decline than a blip on the radar, so adjust accordingly. Life is about perspective. On the one hand, Pence is a four category player that could end up being a five category guy if he can stay healthy in 2017. On the other hand, all of his numbers come so close to the median that he could be considered the median right fielder. That makes him a borderline regular in a three outfielder league by definition. There is nothing wrong with that as long as you know what you are getting coming in. March is my favorite month of the year as a baseball fan. Hope always springs eternal. There’s that hot prospect that has the monster spring and there are the players struggling with injury or ineffectiveness that you just hope will rebound. Your team will make it all the way because all of those guys will rediscover the magic and have great years. Peralta and A.J. Pollock are those guys for the Dbacks. If both return to health they could both be fantasy regulars and the Dbacks could be contenders. Hunter Pence and Piscotty are mirror images of each other. In point of fact, they are only separated by a point here and run there. The end result is that one is a four category guy and the other is a two category guy. Yet, they are virtually the same guy. This can only help you on draft/auction day because Pence will almost certainly be the more valuable piece. Yet, they carry virtually the same value in five category leagues. Harry Chadwick is the father of baseball statistics. He was also supposedly very moralistic to the point where he thought every player should be praised or derided based on the numbers. Players are ultimately judged on what they do and how often they do it. 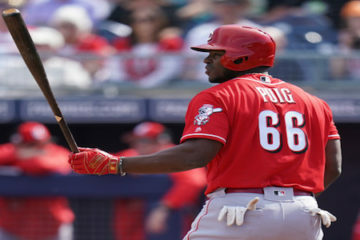 There is nothing Puig can’t do on a baseball field. The only question has been how often the Dodgers can get him to do those things he is capable of. They are still trying. “Lord I’m standing at the crossroad, babe, I believe I’m sinking down.” — Robert Johnson. Reddick has been a middling fantasy player for several years, but he has evolved as a player. The good news is that he makes more contact than he used to. The bad news is that he doesn’t hit with the same power as he used to. 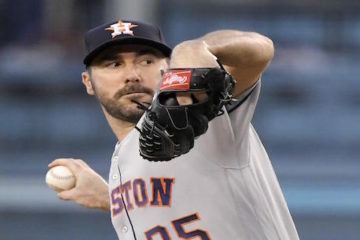 The end result is a player that may not be worth the contract the Astros gave him. Other sports have equivalent players. Football has the guys that can throw the ball 80 yards from their knees. Basketball has its playground legends that never quite make it in the NBA. Professional golf has its own sideshow around guys that can bomb it 350 yards off the tee. Santana has prodigious power and decent patience, but he seems destined to strike out nearly 200 times. That’s if he can ever last an entire season without going on the disabled list. The so-called prize of the Todd Frazier deal is ready to man right field full-time. I suppose there is always the chance that he could be the next Adam Duvall. After all, no one expected the first Duvall. He seems more likely to be the outfield version of Eugenio Suarez. Mind you, there is nothing wrong with manning the occasional position with a player of that caliber. If you have a whole team of those you’ll end up fishing early. Occasionally, trades work out for everyone involved. The Cubs got themselves a dominant closer to replace Aroldis Chapman. The Royals got themselves a good young outfielder to make their lineup a little deeper. More importantly, each individual player made out like bandits. Soler finally gets a chance to play every day and Wade Davis gets more save chances out of the deal. It remains to be seen if Soler can produce these numbers immediately, but he is worth a flier in the latter rounds. The Rays are an interesting study in roster construction. With all apologies to Evan Longoria, they are a team devoid of stars. Yet, when Wilson Ramos returns they will be a team without obvious holes. That includes a fairly deep and intriguing bench. That’s all very nice, but it also means that they have a lot of players that probably won’t get drafted, but could serve as roster adds down the road. Souza is one of those. He hasn’t done much to inspire confidence so far, but a little improvement and a little batted ball luck could make him serviceable. All superstitions are rooted in cold hard facts. The infamous Hollywood Henderson of the Dallas Cowboys won the Texas lottery twice. I’m sure there is someone that has been struck by lightening twice and lived to tell about it. Stanton has been struck down in the second half of the season three years in a row with freak injuries. When does bad luck become destiny? On the one hand, betting on freak injury seems silly and then you see it happen again. 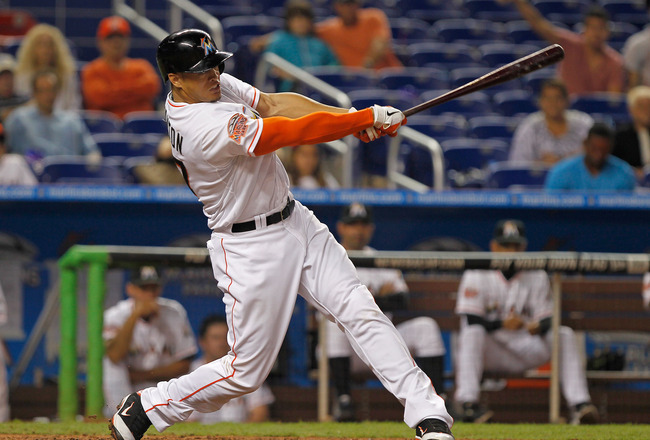 Will this be the season Stanton makes it all the way through from beginning to end?